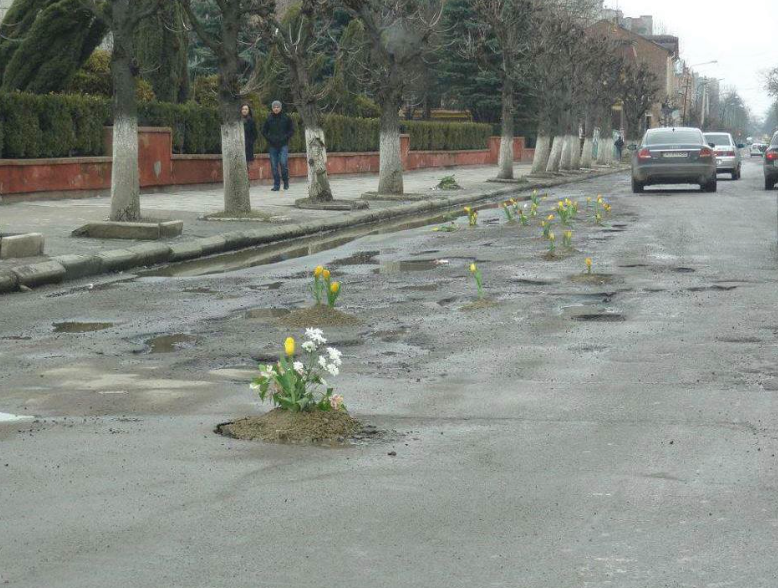 Someone planted tulips in potholes in Kolomiya, Ukraine as a protest against road conditions. I like this idea! This entry was posted in LOL and tagged funny pics, Garden Design by Carolyn Mullet, Humor, lol, Ukranian Protests!. Bookmark the permalink.